Mineral prices have risen while the economy as a whole has entered a period of slowing growth. This book reviews the increases in price across a wide range of metals commodities. In the case of steel, the most widely used industrial metal, the rise in price appears largely driven by the high prices of iron ore and steel scrap. Weak demand and increasing supply may reduce metals prices, but it is also widely believed that prices will not fall to the levels seen earlier in this decade. Consolidation of ownership of minerals companies has given them increased pricing power. Market speculation may have driven up the prices of mineral commodities. The 2000 Commodity Futures Modernization Act exempted both energy commodities and metals from regulation by the Commodity Futures Trading Commission (CFTC). 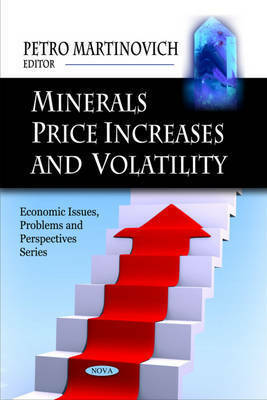 This book examines in detail the relationship between prices, production, and availability of selected metal minerals essential to the U.S. economy. This is an edited, excerpted and augmented edition of a CRS publication.